Centers have always been one of my most favorite times during the day. It gives me the chance to work with students in small groups and allows me to focus on reaching my students where they are, in order to help them build the skills that they need to be successful. I also love that centers for Kindergarten students gives them the opportunity to work independently and cooperatively with their classmates. But let’s face it. 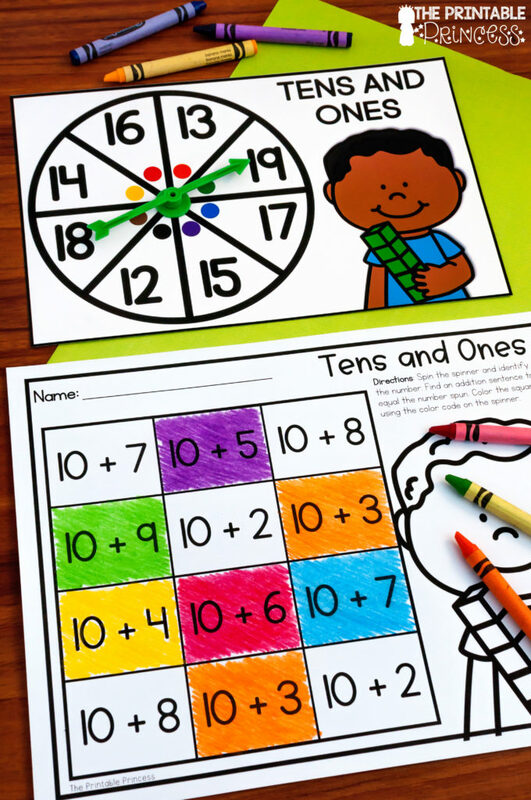 Sometimes planning and preparing centers for Kindergarten can feel overwhelming. 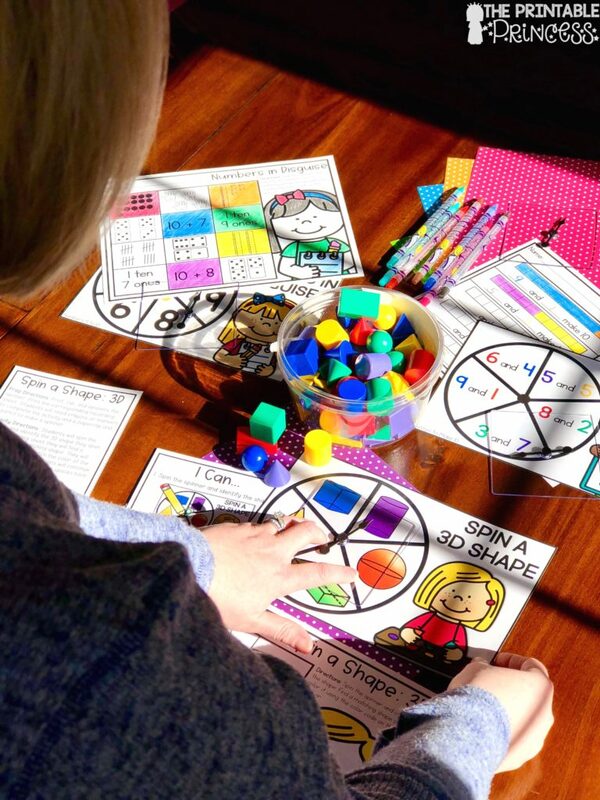 Coming up with an endless amount of centers and small group activities and ideas to keep your students engaged can be daunting. 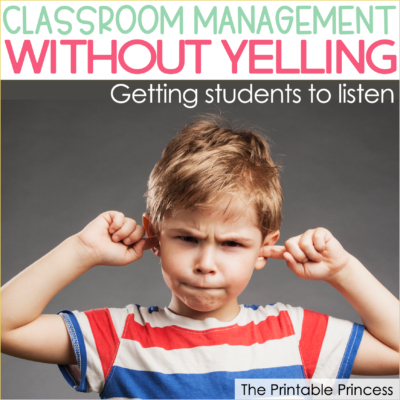 It can also be difficult if your students are constantly interrupting and asking “how do I do this?”. Or maybe they don’t ask, maybe they sit and do nothing because they can’t find the answer to their question or figure out the directions. 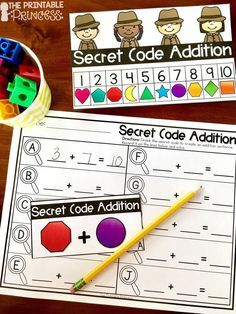 Of course it’s important to model for students how to find the answers they need and have procedures in place like “ask three before you ask me”. 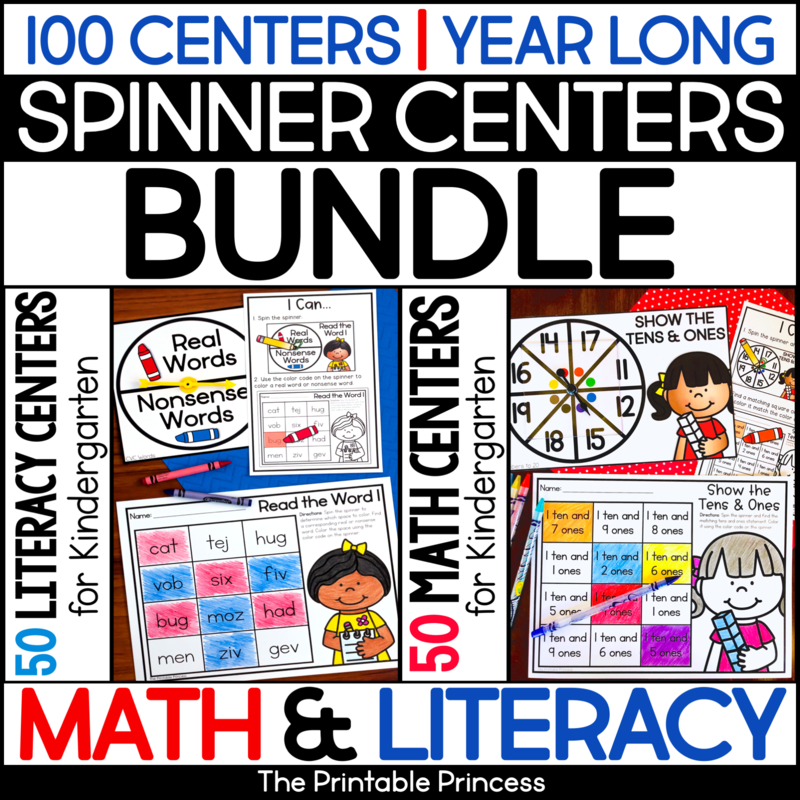 I’m so excited to introduce you to these Year-Long Literacy and Math Spinner Centers for Kindergarten. 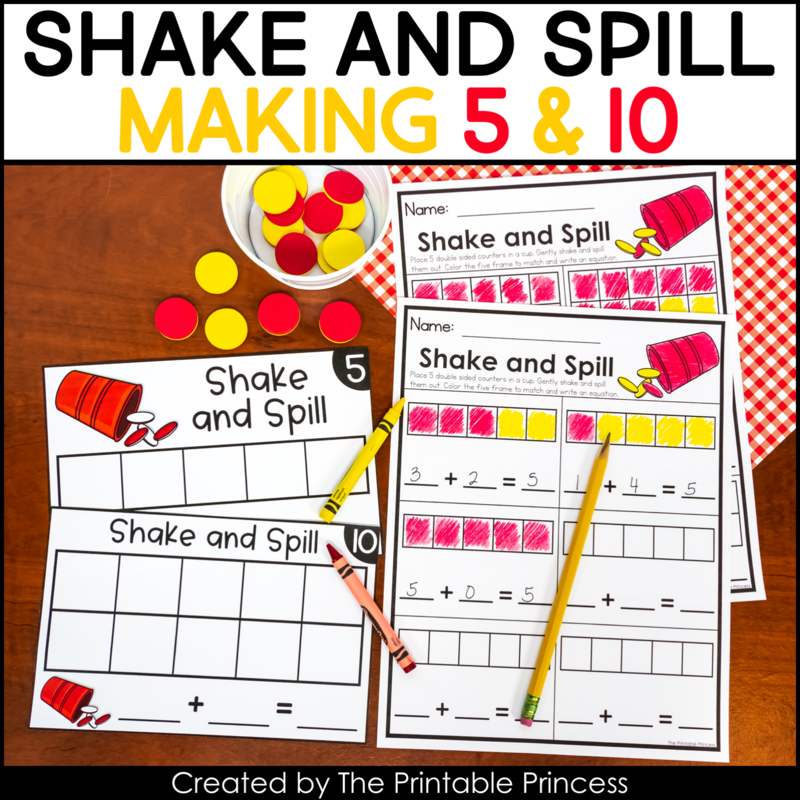 With these spinner centers students will know exactly HOW to complete each activity because the directions stay the same, ONLY the skill they are working on changes. So this means, you explain once (maybe twice) and then they’ve got it! They will know exactly what to do for each center. 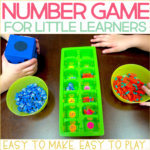 You can then switch the center out 49 different times and work on different skills – without reexplaining! And don’t worry, if they forget, each activity comes with a handy “I Can” visual directions page to remind them. 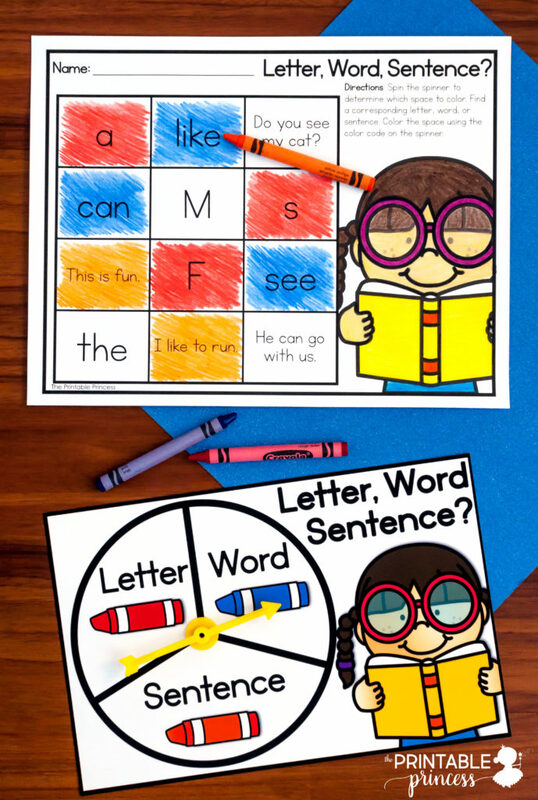 These “I Can” pages are also great for when administration pops in your room – they can quickly glance at these and know EXACTLY what your students are working on. Has this ever happened to you? 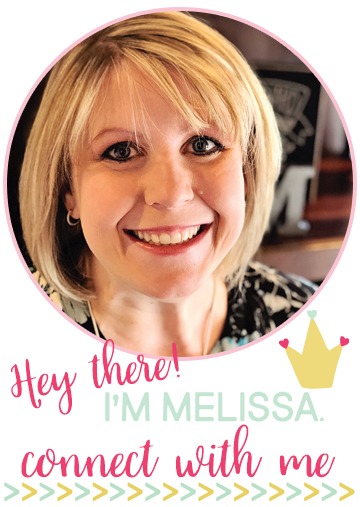 Your administration walks in while you’re working with a group, they ask a student what they are working on – and your principal is met with a deer in the headlights look? Yep. It happens to all of us. So I love having the “I Can” cards out as sort of a conversation starter. Think of it as a book on your coffee table! Haha! 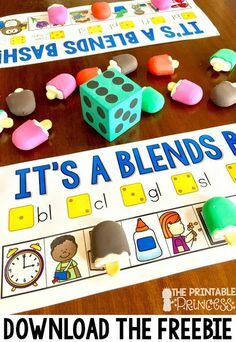 Prepping these centers for Kindergarten couldn’t be easier. Just print, cut out the spinner and you’re ready to go. I told you preparing the activities was a breeze! 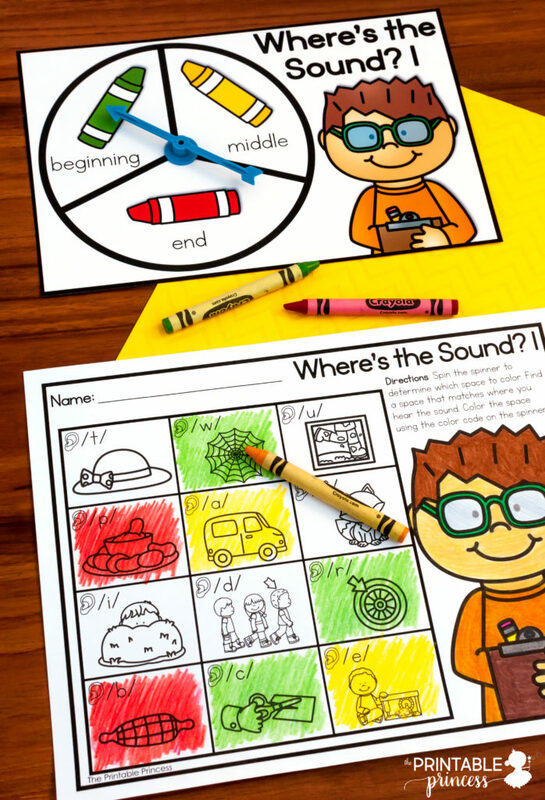 Students will need crayons to complete the activities. 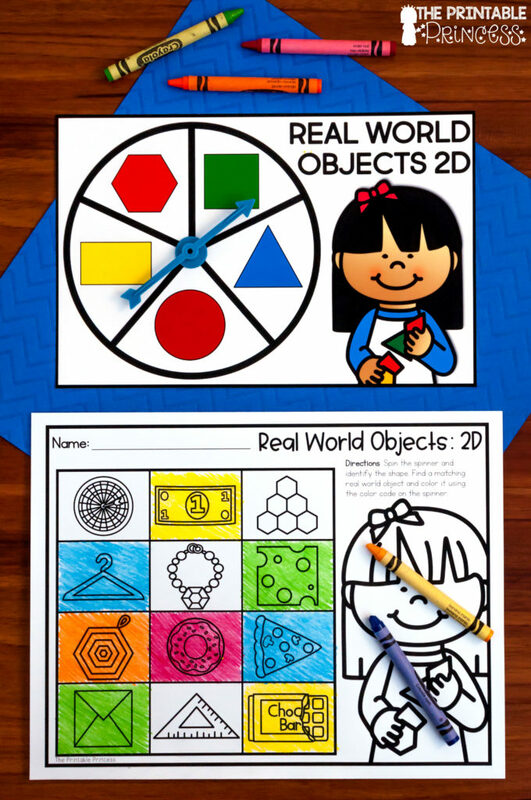 Students can use a paperclip and a pencil to make a spinner or use plastic spinners like these from Amazon. I love, love, love these spinners and HIGHLY recommend them – especially at the beginning of the year! Each resource comes with a click-able table of contents. You can just read down the list of skills, find the one your class is working on, click on the link and you’ll be taken to the activity that corresponds with that skill. Just print what you need and you’re done! 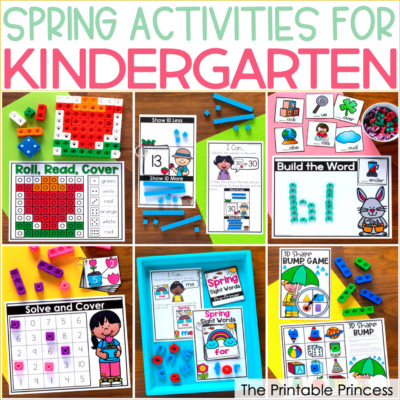 There are NO themes included, so the activities are perfect for any time during the year. 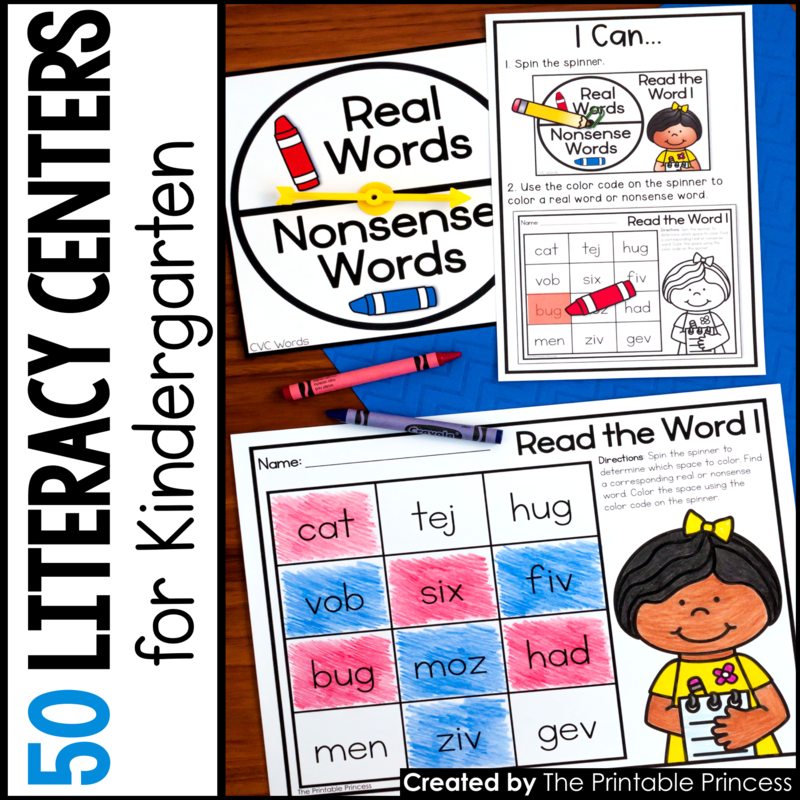 There are 50 literacy activities and 50 math activities which means there’s a HUGE variety of skills included. 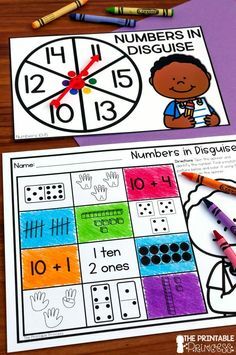 Skills start off very simple so you can use these at the beginning of the year. 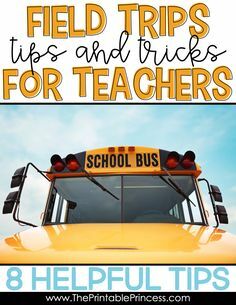 By having students complete simple activities you can keep them engaged and focus on teaching other routines…like how to stay in one spot for longer than two minutes, how to clean up, how to work with classmates, etc. 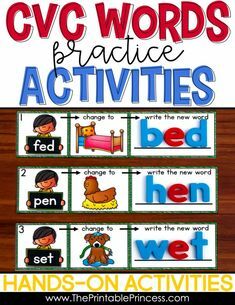 As the year progresses you’re students will be ready for skills like ending sounds, rhyming words, syllables, CVC and CVCe words, addition, subtraction, place value, and more. But one thing stays the same – the DIRECTIONS! The time students spend in centers is just as important as the rest of the day. It’s not a time where we give our students “busy work” to keep them quiet so that we can work with small groups. Students should be working on meaningful activities and learning from one another. 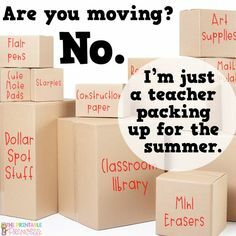 It is important for us to check in with our students and check the work they are doing in centers. Students spin the spinner to determine which space to color. What I didn’t mention, is they respond and color using a color code. This allows you to easily check their work and monitor progress. 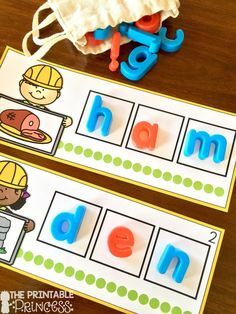 The literacy centers for Kindergarten include letter recognition, letter/word/sentence, phonemic awareness, beginning sounds, ending sounds, middle short vowel sounds, nouns, color words, CVC words, CVCe words, word families, and more. Skills start very basic and then progress as the year moves on. Here’s a look at some of them. 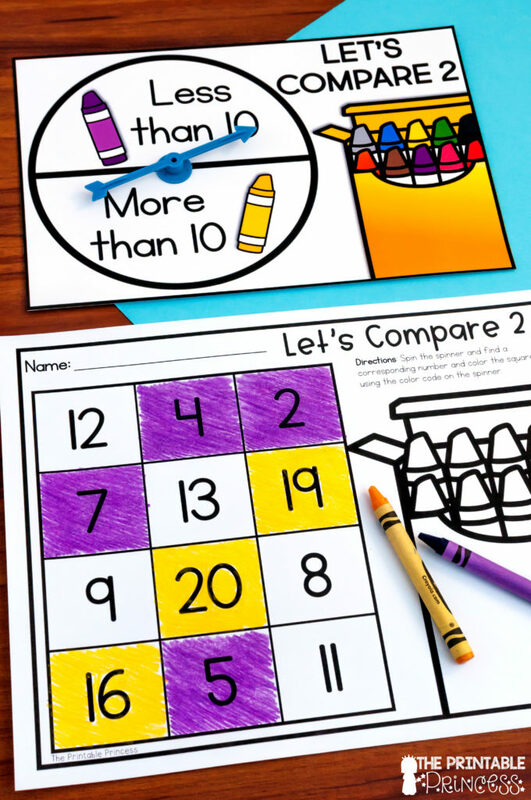 The math centers for Kindergarten include numbers to 5, 10, and 20, shapes, patterns, making 5, making 10, counting, ten frames, addition, subtraction, and more. 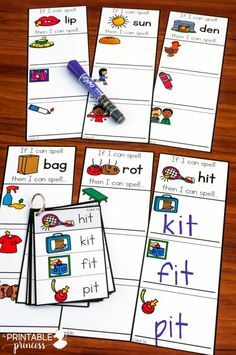 Just like with the literacy activities, skills start very basic and then progress as the year moves on. Here’s a look at some of them. 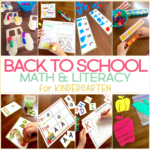 You can find the literacy activities here and the math activities here. 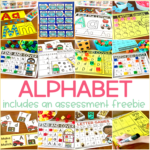 There is a bundle available if you’re wanting both literacy and math. 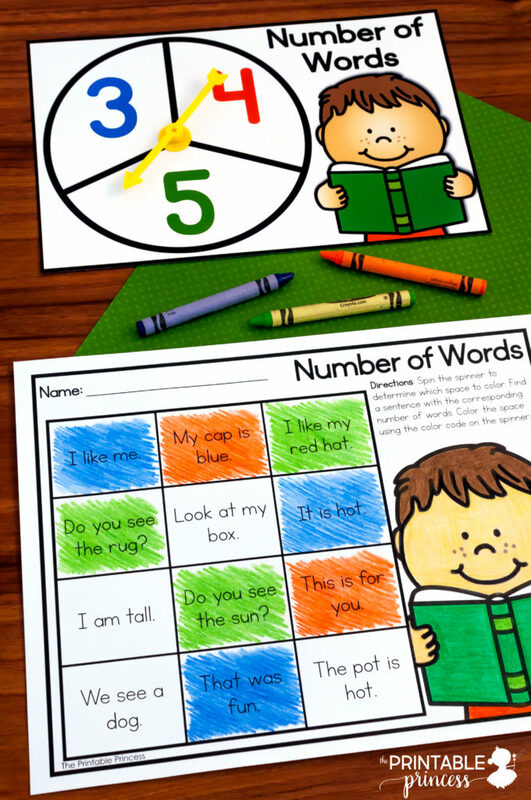 Check out the Kindergarten Literacy and Math Spinner Centers: Year Long BUNDLE by clicking on the image below. Where did you get your spinners that you use for these centers? 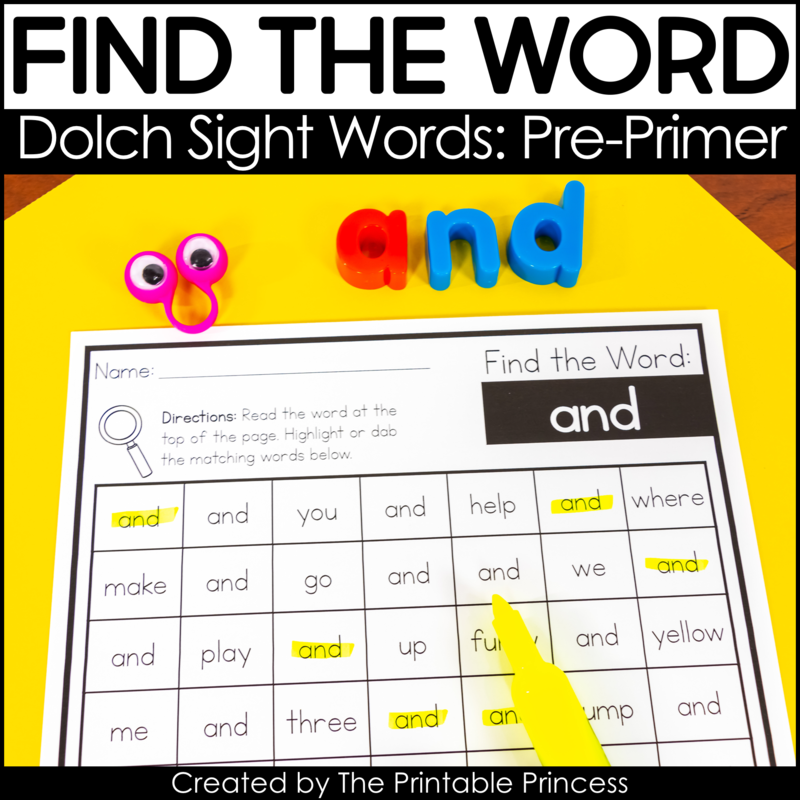 I am having trouble finding the “Witch” Letter should I build printable. I am interested in it whether its free or if I have to pay, I just cant seem to find the link for that activity. 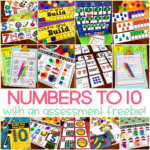 It’s a freebie on the blog. 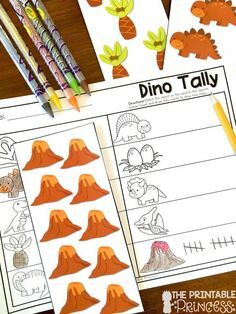 Just search Halloween mini eraser activities. I’m not on my computer or I would grab you a link.